For the first time in his career, Lewis Hamilton doesn’t seem to want to stop winning even after having claimed a new Formula One title. 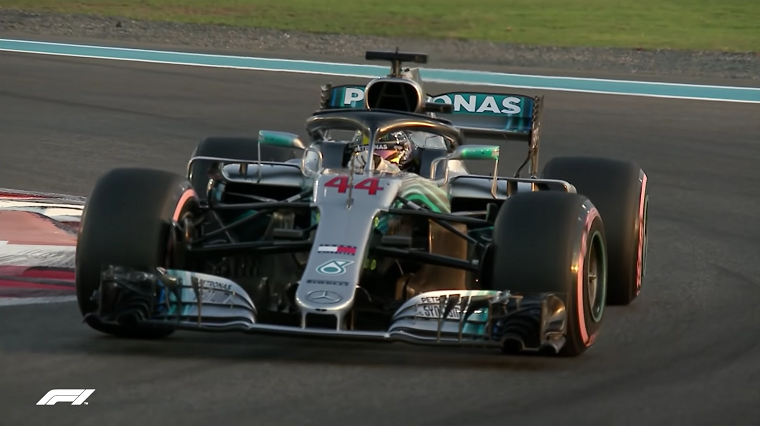 In all previous years, after having won a title with at least one race still to go in the championship, Hamilton had shown a dip in performance. Some even said that was the reason Nico Rosberg was able to get the measure of him in 2016, having come off a long streak of energizing victories at the end of 2015. But now Hamilton seems uninterested in easing off the throttle even after having won it all. He stole pole position and the win in Brazil, and today took pole position again in Abu Dhabi in a superb display of speed. The qualifying session was an important one to many drivers. As the last of the year, it also marks an ending for driver changing teams or leaving the sport. For the final time, Stoffel Vandoorne underperformed and failed to beat Fernando Alonso in qualifying. Charles Leclerc once more proved why he is moving on to Ferrari and many drivers, including Marcus Ericsson and Sergey Sirotkin, will leave the paddock this weekend wondering what they could have done differently to ensure they’d be able to come back next year. 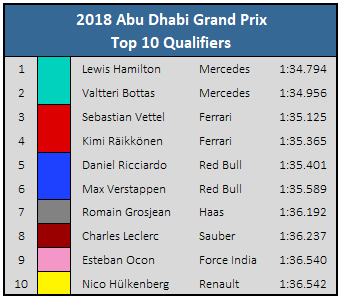 Unless Ferrari is much faster in the race tomorrow than it was in qualifying today, there’s every reason to believe Hamilton will continue his winning form and go on to claim his eleventh win of the season. That would be an incredible feat considering he only had three at the halfway point.